It is a real success! You can see the first interpretation artistic panel perrmanently in "le sentier Miller" in Rosemère. To get there, follow Chemin Grande-Côte, turn right on Archambault street and the trail start at the end of the road. You will see the art, 500 feet from there. Thank you for following me during the year! "Through modern life and its turmoil, contemporary art takes on its full meaning. 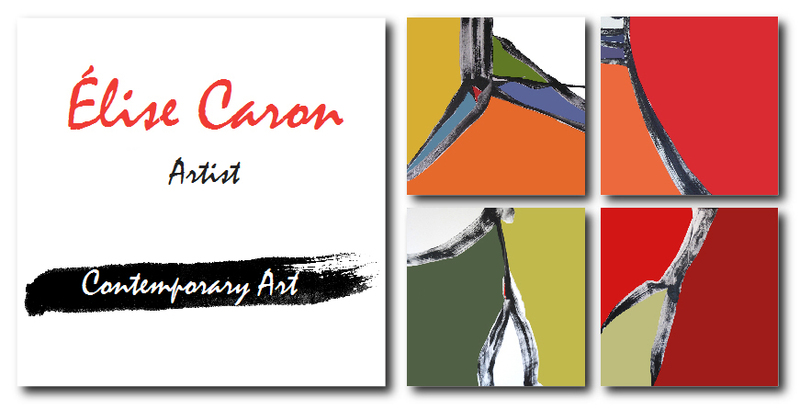 Today, more than ever the philosophy of the " here and now " applies " states Élise Caron. I took master's level classes on abstract art with Françoise Sullivan, co-signatory of " Le Manifeste du Refus Global au Québec " (Manifesto of Global RefusaI) who encouraged me and conflrrned the pertinence of my artistic approach.